In the match against Western Bulldogs, Corey Enright became the player to have played the most VFL/AFL games for Geelong. Many have written about this great milestone and his many achievements, and these accolades (for example, the greatest half back in the past 20 years) are well deserved. 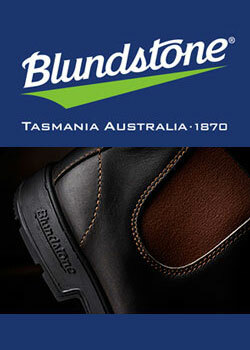 I would like to focus on his birthplace Kimba, a small town with a population of 600 to 700. 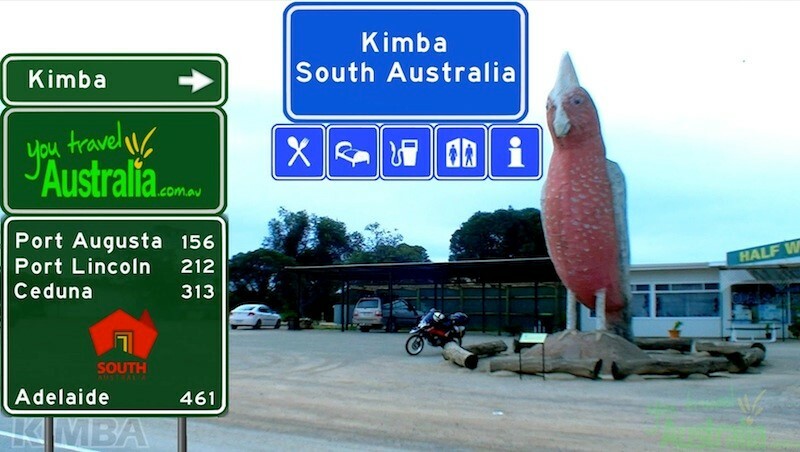 Kimba is located on the Eyre Highway, on the road from Perth to Adelaide half way across Australia and famous for a seven metre high Galah! We know this town better than most. In May 1988 our car broke down in Kimba, on a trip from Perth to Canberra. We spent a few days there, without a car, waiting for a new engine! Towns like Kimba have a different level of friendliness, a different heartbeat. People greeted you in the street, and it was hard to go into a shop and not buy anything. Business activity in most outback small towns is subdued! Kimba has a golf course, dry and with black (oiled sand) greens! But still fun to play on and a community focus. The new Parliament House opened while we were there (9 May 1988). We sat in the local servo cafe and watched – while the locals complained (probably quite rightly) that their roads needed fixing! Sometimes, as a Canberra-based family, you want to hide. We broke down at night and after a night in the car in a park we made it to the local mechanic. The mechanic came riding along on his bike!! We even found ourselves in church with him and his wife. We eventually made it back to Canberra but we have never forgotten those rich community values of Kimba. Corey Enright was around seven years at the time. 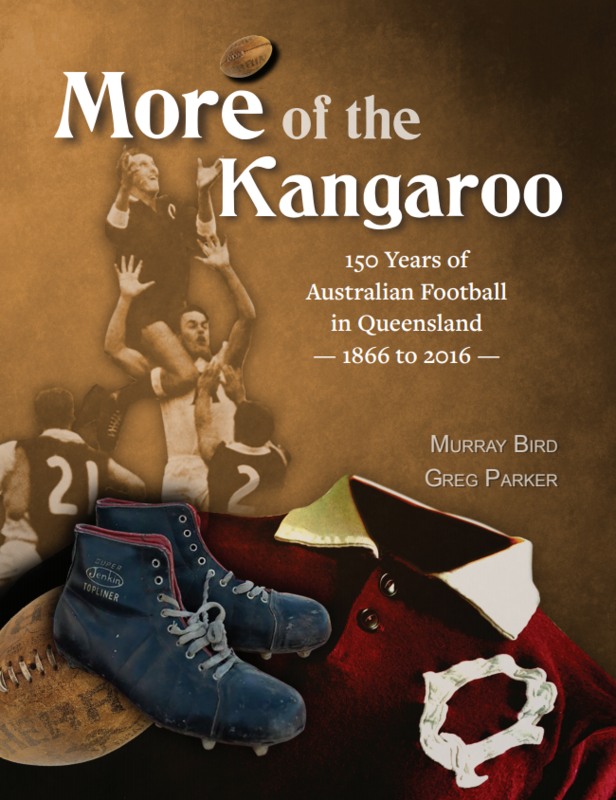 What a journey to an outstanding football career – with all his AFL games with Geelong. The humility that is a core of Corey as a person is a personal quality that growing up in a town like Kimba instills. 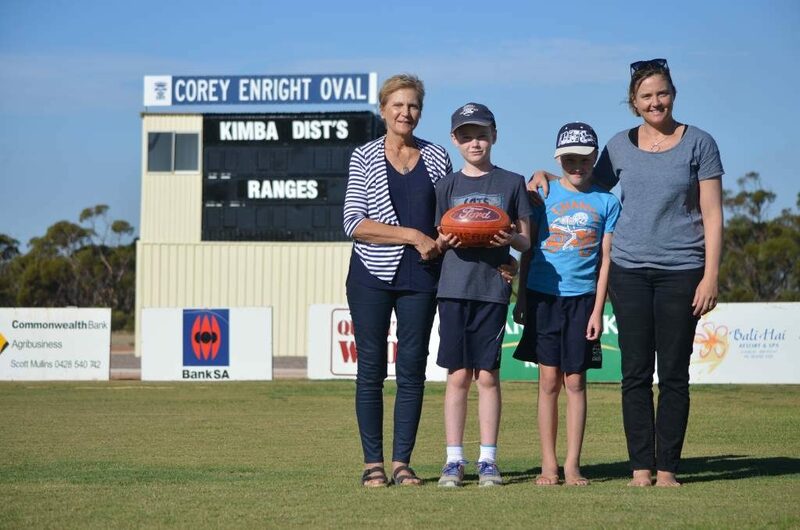 The local oval is the Corey Enright Oval. So Kimba should celebrate this milestone. We owe a lot to Australia’s country towns, especially those who fought in Australia’s wars, as well as on football battlefields. 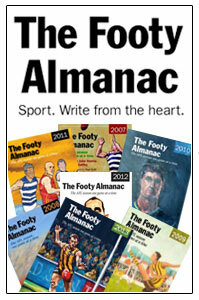 From obscurity growing up in Kimba to AFL football’s centre stage! My birthplace is Geelong and Corey Enright has been a joy to watch in so many games throughout the years. Living in Kimba for those few days in 1988 helps me to understand how important humble beginnings can be on the path to greatness! Thanks JTH. Like many of us, my parents were small town born. Our only experience of those values are memories of family visits to relatives in the far gone days of our youth. Good to hear that the towns are still there and thriving. And still producing footballers. But surely Kimba should have a giant white lion, rather than a galah! Kimba has produced some other bonafide champions, the Wakelin boys and Mrs Swish. One day I’ll get over there, I promise. 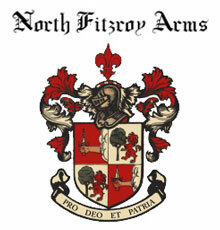 Where does it get its name from? 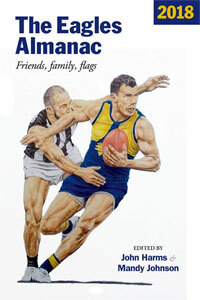 Another Kimba local Robert Schaefer played 11 games for Richmond in 1993. He’s 200cm and in his mid-forties now, but still a better forward option in 2017 for the Tigers than T. Cloke, if the suggestions are true. [Just making sure everyone knows it is Denis Hart’s piece – sorry I inadvertently left the default name as author]. I have been to Kimba. IT gets a mention in PLay On.